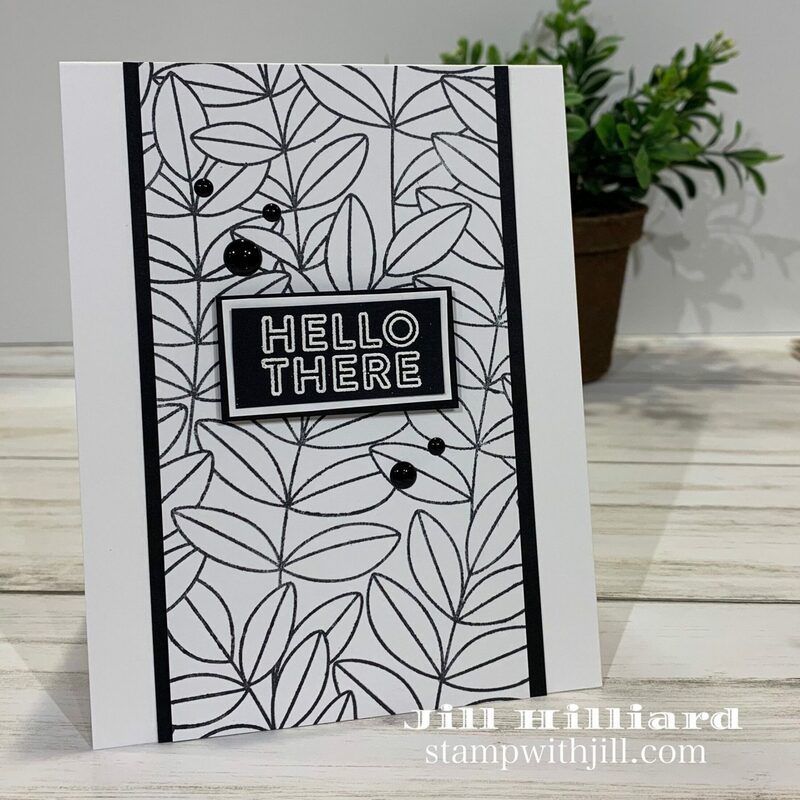 Sharing a Quick card today using the Outline Leaves background stamp from Simon Says Stamp. I love how elegant this is! Surprisingly this is my 1st time using any 6 x 6 background stamp and I am in love! I used black ink, black and white paper and some black enamel dots. 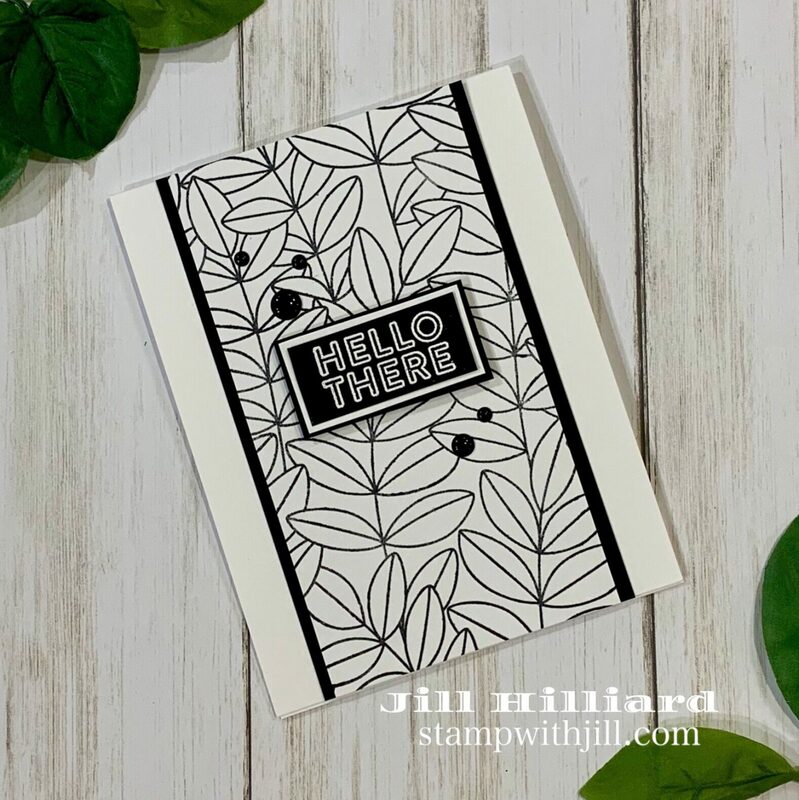 The sentiment is white heat embossed and is from the Simon Says Stamp April card it called Hello Darling. 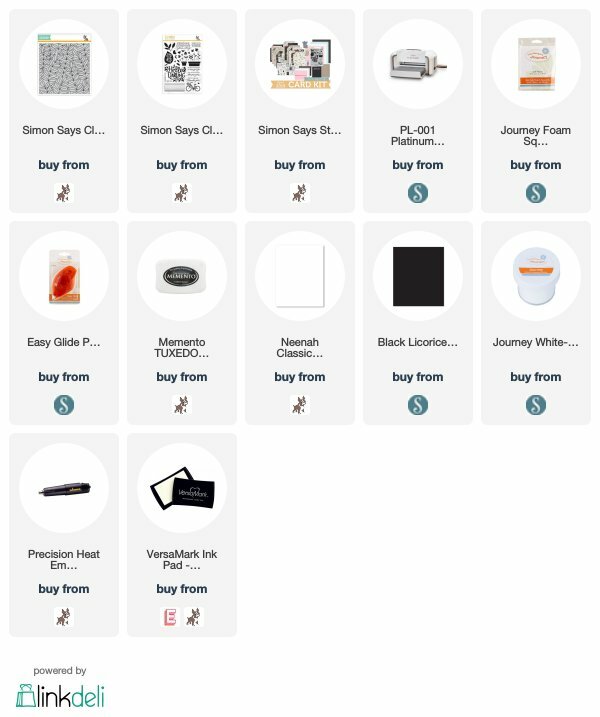 Of course you can check out the Outline Leaves stamp HERE or click any of the links below.